First impressions aren’t limited to people; your home makes a first impression too. Imagine entering a home for the first time for a dinner party. 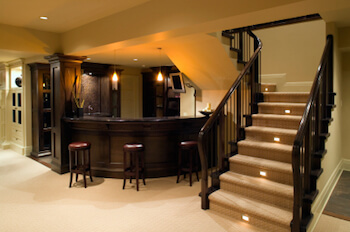 The first thing you notice is worn out carpeting with stains in multiple places. Or imagine entering a home as a potential buyer. A simple coat of paint is easy to apply. But carpeting – that can be a deal breaker if you know it’s a major expense that will be added if you make an offer. Carpeting is a major investment. And if adding new carpets to you home is on your to-do list this year, make sure you also consider the best way to extend the life in the process. You know the vacuum you’ve been dragging with you when you move from home to home? The one that’s lasted for years? Its time to put it into retirement. It’s the small stuff that can ruin your carpets the quickest. Dirt and grime can grind into the backing and carpet pile, and will quickly show its age through wear and tear. All vacuums are not created equal. The best vacuums are those with strong suction to pick up and collect small particles that are nestled deep down into your carpeting. While you may have relied on your personal carpet cleaner for years, the home models rarely get out the dirt and grime a true professional can with professional equipment. Make sure you choose a solution that will not leave residue in your fibers; residue will attract dirt quicker than a carpet that hasn’t been cleaned. Your padding is as important as the carpeting you choose. Padding has a variety of purposes, it makes your floor more comfortable to sit and walk on, it absorbs noise, it absorbs heavy traffic, and it can cut your carpets life short if it doesn’t do its job. Talk with a flooring consultant to have the best padding for your carpet choice, and the amount of traffic in your room. Wearing shoes from outside can escalate damage to a carpet. As you walk around your community, you pick up all kinds of grit, grime and dirt. Depositing them into your carpets means your flooring will soon have a variety of things embedded deep inside. Accidents happen. When they do, be sure to clean them appropriately as quickly as possible. The faster you treat a stain, the less likely it will make its way through the carpet backing and into the padding. Which means you’ll have less damage overall. In places with exceptionally high traffic, such as stairs, hallways and entryways, its important to add further protection with carpet runners and rugs. Easy to clean runners allow you to isolate dirt into one area, and clean it in an easier way. Its easier to wash a rug or shake out the dirt then it is to clean your entire carpet.